This weekend I visited Hoxton to attend Plus London 3. After a disastrous few days (yep I jinxed it) leading up to the event, it was good to see old and new faces on the day. I was fortunately gifted for the day a dress from Anna Scholz new A/W collection. 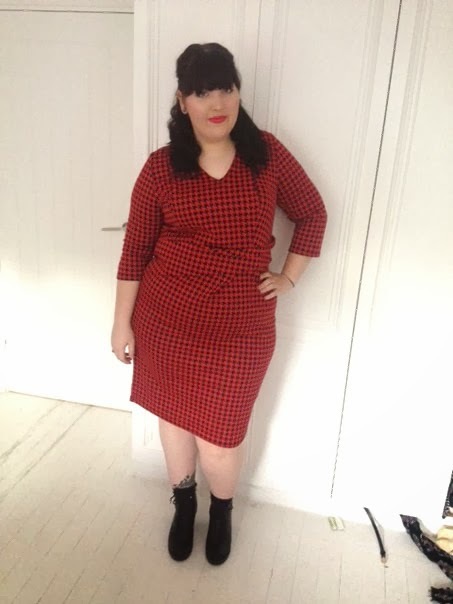 I went for a pin up/rock alternative look teaming the dress with a new pair of biker boots and styling my hair in a wavy 50's/60's bee hive. I felt amazing in the dress and received loads of compliments from everyone. I changed for the night and will be posting about my new goodies soon.